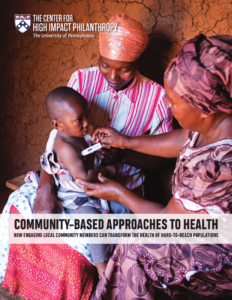 From rural villages in Malawi to crowded urban slums in Bangladesh, community-based health organizations are delivering interventions to underserved communities around the world. These organizations engage local communities to understand their unique health needs, and use science-based methods to prevent and treat health problems. Their work has proven to accelerate better health outcomes in even the most challenging settings. Below are five effective community-based approaches to health that donors can look for in organizations to fund. Programs are designed to address the most pressing health needs of the community. This may include health needs that are reflected in census data as well as those identified by community members themselves. Organizations work alongside community members in a way that engages and enables them to actively participate in shaping interventions and, as a result, builds capacity to address community needs. Services are brought close to or into the homes of disadvantaged people through outreach by CHWs, mobile clinics, and health educators. Care is provided as a package of preventative and treatment solutions through the use of trusted and well-trained health workers. Care is expanded and sustained through education, behavior change, and early detection of problems, etc. Services and interventions are woven and linked into the broader health system. Local resources and stakeholders (e.g., community leaders) are incorporated into a strong collaborative network to further the mission. Community’s self-identified needs are taken into account, i.e. what is the community itself most concerned about? In Guatemala, Curamericas uses a community mapping and census methodology that allows for regular visits to each household within its service area. This approach ensures that all births, deaths, and sickness are documented and provides Curamericas with the ability to track progress and make real-time programmatic decisions to address health needs as they arise. In Bangladesh, BRAC Manoshi’s CHWs are recruited from the urban slums in which they serve. As a result, these workers understand the conditions in which their clients live and can establish trust with them. In India, where home births are still common, Comprehensive Rural Health Project, Jamkhed often sends skilled Village Health Workers into a pregnant mother’s home to assist during labor and delivery. Hôpital Albert Schweitzer Haiti runs mobile clinics that are one-stop shops for most of their clients. 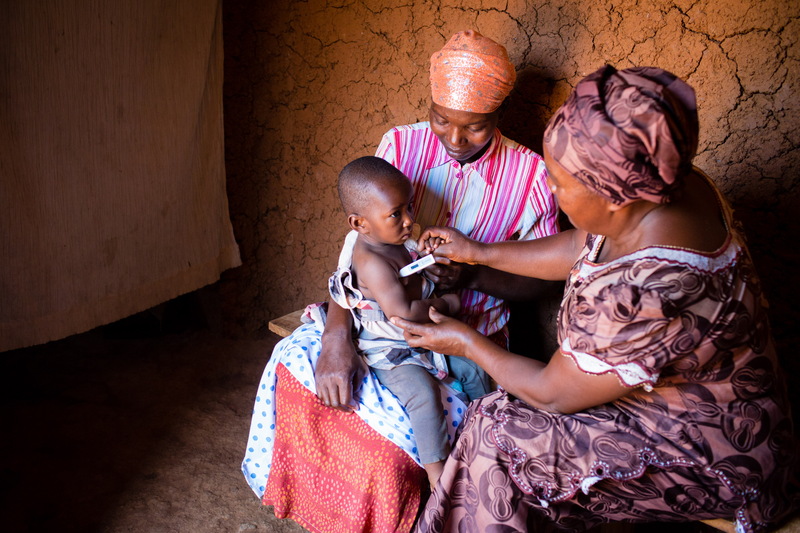 Services and interventions delivered at these monthly clinics include child malnutrition screenings, distribution of micronutrients and medications, family planning, and primary healthcare education and services. In Liberia, Last Mile Health runs local clinics for communities too far away from government health centers. Last Mile Health partners with Liberia’s Ministry of Health to train CHWs and provide care that meets national standards.